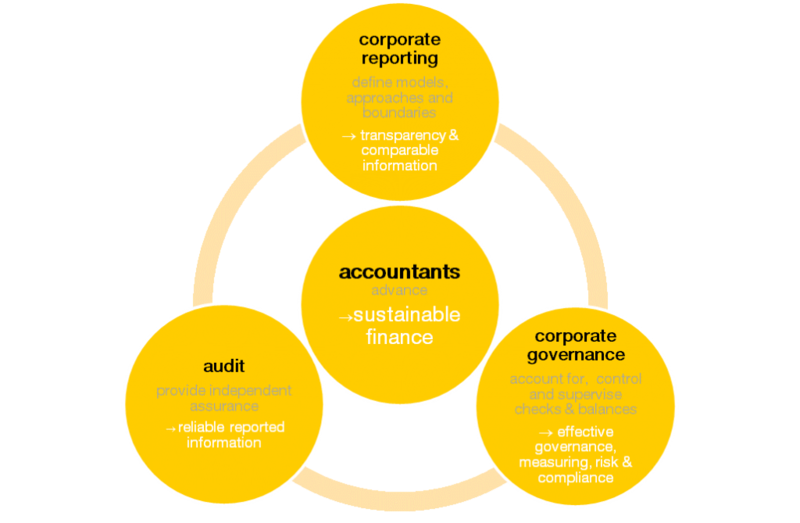 Sustainable finance: what's it got to do with accountants? To keep Europe liveable for all 512 million of us, we will need a more sustainable economy. Having committed to the UN Sustainable Development Goals and the Paris Climate Agreement, Europe needs to fulfil an ambitious agenda by 2030. To this end, the EU launched a massive Sustainable Finance initiative to stimulate the €180 billion annual investment needed to merely achieve its energy and climate goals. This is part of the EU’s legislative efforts to establish a Capital Markets Union to which Accountancy Europe has steadily contributed. Accountants provide transparency that is essential for the stability of Europe’s financial system and for moving from short-term investments to sustainable economic growth. What gets measured gets done, so accounting is a natural starting point. Measuring pollution, resource depletion and global warming will correct market failures, and this will drive a truly sustainable economy and should deter ‘greenwashing’. Businesses also perform better when they report on sustainability matters; they are more likely to identify long-term risks and build resilience into their business models. Corporate reporting to cover long-term term risks: Financial performance is not enough to determine how a company will develop in the long run. Non-financial information, including sustainability information, plays an important role in mitigating the short-termism that until recently dominated financial analysis and valuation. Accountants can help companies connect, and eventually integrate non-financial and financial information. Corporate governance to focus on long term value creation: With companies as the main driver for economic change and their key role in natural capital and geopolitics, accounting and measuring is a tool for to make businesses more sustainable. They help embed sustainability into a company’s strategy, decision making and reporting processes. Auditing to provide trust to stakeholders: Accountants provide independent assurance to address stakeholders’ needs for reliable corporate information. They have the skills and abide by the high-quality global standards to increase trust. They enable businesses to achieve their sustainability objectives by identifying areas for improvement and enhance internal decision-making processes.